Greetings. 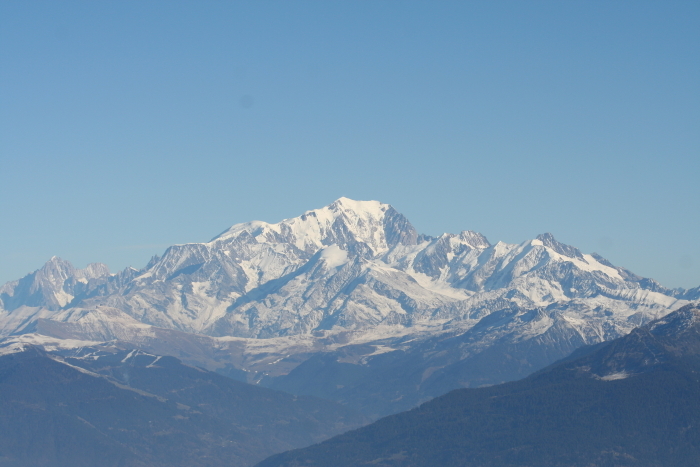 We’re just getting-in some quick picks and (very) brief descriptions of the runners most likely to make some noise trotting around the Mont Blanc massif in a day or so. Footfeathers (Tim) is on the road this very minute to new residence, so this week has been a little hectic. Pardon the lack of sensory detail, the vivid verbal pictures of Chamonix or some of the UTMB trails where coveys of mountain runner are attempting to tip-toe into those last moments of late summer tapers before the BIG DANCE. Kilian Jornet: He’s the two-time defending champ, so he seems like the natural favorite here; if Vegas had odds (actually, do they? ), he’d be the pick, no doubt. What more can we say except to clarify that he’s running well and seems to be enjoying himself in the Alps. Though he finished 3rd at Sierre-Zinal just two weeks ago, first and second raced very well that day; and the 2011 Western States 100 winner actually posted his best SZ finish. His June win at the Auburn track meet adds to the likability of this guy extending his UTMB win streak. Furthering the line of thought we started in the Sierre-Zinal post last week, we may as well underscore that he’s raced a lot. He won a 100k in Australia in May, WS100 in June and then trained for and raced vertical SZ. Perhaps more specifically is whether he got himself back into 100 mile fitness for the UTMB. Geoff Roes: Hard to believe this guy is a dark-horse; I’m sure some people think that’s out of line. But realistically, he just hasn’t been himself in 2011. Even recently he’s shared some of his concern about fatigue, about not recovering from bigger runs. Having said that, this might be the only guy (on a good one) who can go with and beat Kilian, especially late. Let’s not forget this guy’s closing speed. I think he’s healthy again and wants to RUN. Jez Bragg: This is a guy to watch. Sneak a peek at some of his recent posts. Summarily, he was disappointed at his lack of an extra gear at WS100; through 80 miles he was in striking distance, but just didn’t seem to have that ability to stay with Jornet. But, he specifically addressed that in his subsequent training, and has had some big blocks that have included specific UTMB work including some Mont Blanc recon with his TNF team. Think he might want to certify last year’s asterisked win? I do. Miguel Heras: This talent put-on an unbelievable late surge and blew the TNF50 San Francisco wide-open last December, grinding-out a win over Geoff Roes, Dave Mackey, Jez Bragg, Dakota Jones, Jason Schlarb, and a distant Uli Steidl (to name a few). He sparked the so-called Salomon Running slam that may have another jewel for its crown if he or Kilian can win. In June, he won the Zugspitz Ultra Trail, 101k that takes runners through some epic climbs in the German Zugspitz mountain chain. Heras might have the climb and the speed he needs. Mike Wolfe: We’ve heard him called Wolfe-man. Without knowing too much more about Mr. Wolfe (if that’s even necessary with such a nickname), his 2011 2nd at WS100 has people buzzing. Before that he had an impressive 2nd at the Miwok 100k (just 3 min back of Dave Mackey) and a Way Too Cool 50k win. Maybe this is where Mike makes a name for himself, a coming-out dinner party, if you will, preceded by him stalking leaders late, smelling blood. One to watch for sure. Nick Clark: If you don’t know him, read our interview. A gentleman you don’t want to pick a fight with on a trail in 100 mile route. His two huge 3rds (WS100 and HR100) and wins at Jemez 50m (CR) and Speedgoat 50k mean he’s ready to rumble. Not lacking the toughness to go out and follow some guys off the front. His nice 3rd at American River 50m back in April counts for quickness. He’s all mountain, coming-off a nice run at Sierre-Zinal. Perhaps he’s itching to get back to the states already, with a little souvenir he’s picked-up in Chamonix. Dakota Jones: This one is wild. Card. He races and races well. Back in December 2010, he finished 4th in the Heras upset win in SF. He was 19, ran off the front for much of the race and simply ran-out of gas. About 6 weeks ago he finished 2nd at HR100. A month later he finished 17th at Sierre-Zinal. That’s post-modern art. The HR100 win might really reverberate here. He’s young, tough (2011 HR100-wise) and mountain fast. I can’t see him NOT near the front. Sebastien Chaigneau: 2nd at the UTMB 2009 is very impressive and logically means he’s for real. He won the difficult Lavaredo Ultra Trail in the Dolomites in June that started at midnight. He could be in winning form, and having just missed here in ’09, look-out. Starting to see the depth of this race. Tsuyoshi Kaburaki: Another dangerous ultra marathoner. In 2009 he was 2nd at WS100 and 3rd at the UTMB. And he was pushing 40. This year he was 5th at WS, running a 16:07. At 42, does he have enough to reel-in some of the younger game? His wise and steady race demeanor could see light at the end of this tunnel. Zigor Iturrieta (3rd in last year’s version, 2nd at Lavaredo), François D’Haene (4th here in 2006, 5th in 2007 and 2nd to Jornet at the Australian 100k in May), and Hal Koerner (actually, having a solid year despite his DNF at WS100. 3rd at Miwok and 2nd at Zane Grey). There are so many others, Americans and internationals alike. I like Geoff Roes for the win. If he’s on, he’s Alaska. Redemption arrives for Geoff! Kilian Jornet and Jez Bragg round-out the podium. As I think I made pretty clear above, however, anything could happen. Heras, Chaigeneau, Jones, Wolfe, Clark. . .stay-tuned! Podium: Krissy Moehl, Nerea Martinez, and Lizzy Hawker (though I like Darcy Africa for Team PI). Diana Finkel and Maud Giraud could be in the mix, as well. Footfeathers was kind enough to wire us some of his ultra intelligence before touching-off. Two time champion of UTMB and then controlled the field at Western States, beating many of the competitors he will face on his home turf this time. He felt WS was flat. UTMB is more to his liking and fits his natural climbing talent. Won the abbreviated version of UTMB last year and has been busy lately with, “heaps of UTMB specific training” as he says on his site. With a fast 4th place at Western States, he’s ready to move into the spotlight and could very well take the whole thing. His victory at last December’s NF 50 mile championship in San Francisco started it all for the Salomon dominance that has sparked the conversations both exhausting and denying international dominance in America’s big ultras. He’s poised for this race but must take down the king to do it. 2nd to Kilian in 2009’s version of UTMB, Sebastien has the experience, training and power of team backing to podium even in this year’s race that is stacked with talent. The definition of consistency, Tsuyoshi has 3rd and 4th place finishes at UTMB to his credit. Add to that his showing of speed and tenacity to nab 5th overall at Western States, taking top masters honors over the likes of fellow master, Dave Mackey. Don’t be surprised to see him up with the leaders late in the game. 2009 champion is rested and fit. No reason not to repeat. Nerea is likely fired up to have the run she wanted at Hardrock where she DNF’d after getting off course for several miles. Watch for her to take it out fast but Krissy is patient and will reel her in midway through and power on, leaving Nerea with the absolutely respectable 2nd. Lizzy hasn’t done a lot this year but still earns the nod for a podium finish. She’s a former champion of UTMB and can never be counted out. Let’s go Geoff! I’m hoping Scott Jurek has a solid race as well as Nick and Dakota. Really excited about tuning into this one. Thanks for a nice breakdown. Really pulling for Geoff, Nick, Joe Grant and Dakota. Do you guys at Inside Trail know what time the race starts Stateside? Gotta make sure I’m near a twitter feed. Thanks for the preview! Starts 10:30am tomorrow (Friday) mountain time, Dylan. Hope recovery week is good for you! Yeah, my bad leaving Joe off the radar. He could be damn tough out there in the mountains. Good luck to Jurek, too and the other guys like Jaime, Brimhall, Karl, Nick P, etc. Do some work over there! Thanks for the note, William. My picks: Jornet, Heras, Wolfeman. Not going out on really any sort of a limb here (other than leaving off Geoff), but I have heard some people within the sparkling white, lycra-clad empire even pick Miguel over Kilian and K has mentioned that Heras is the one person who concerns him. Heras also won the Andorra Ultra-Trail in mid-July which is 105mi w/ 40,000′ of vertical. Yeah, a little steep. Took him 30hrs. Part of me wants to pick Heras, but I just don’t see Kilian losing. The dude has faded significantly over the last 50K of each of his UTMB wins, though (but he still won handily, of course), so if Miguel can stay close, it could be interesting from Champex in. Kilian, in classic fashion has completely disregarded a taper and can’t help but have some tired legs. He had “heavy” legs at SZ (that still netted him a PR), but since then he’s summited Mt. B no less than 3 times (6hr/13k’ run each) in four days, the last being JUST TUESDAY. Wolfeman is as confident as ever and has been cranking the vert in training. Like, 40mi/20k’ runs. Not many (any?) folks stateside have been preparing like that. He likes to lay low on the interwebs, but dude has been assembling a sterling season that I think is just slightly off of people’s radars because his only out-right win this year has been Way Too Cool. 3min off Mackey at Miwok. 4min off Kilian at WS. Has loads of UTMB experience (I think this is his 4th start?) 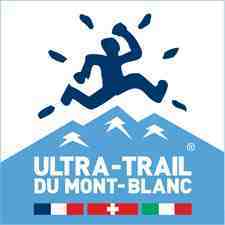 A close 2nd in the UTMB-Fun Run last year. Best Yankee chance for podium. Geoff is the biggest unknown for me. My heart wants to see him podium, even challenge for the win–and I know there was a time when he would’ve/could’ve–but my head is trending towards this being another rough one. His travel over there was tumultuous, but if there’s anyone who doesn’t need things to be going smoothly, it’s Geoff. He says he’s ready, so I have to believe him. But lots of other dudes are ready, too. No more than 3-5 of the top top dudes are going to have A+ races, either. The odds just don’t work that way. It’s so hard for me to pick against him, though. Nearly every race he does, he surprises me in some way (usually positively), so after a rare downer at WS, I could also easily argue he’s due for another big one. Rest of the top-10: man, what a mess. Wanna see Clarkie and Joe for sure, and I think they can do it. Gonna pick the Frogger over the man from Canterbury, though. I think Nick’s legs are legitimately tired. He ain’t sandbaggin’. D’Haene and Chaigneau will be in there. If Jurker is conservative he’ll crack the top-10. Unfortunately, his training season has been massively hamstrung this year, though, by travel and book-writing. Jez will surely be in there, but not podium. Probably pushing that top-5 all day. Iker Karrera for sure, he’ll prob be top-5. I’m thinking Dakota respects the terrain and does well, top 10. Obviously Kaburaki. Hal-pops just tries to make it around the mountain. But damn, I’d be surprised at 5 Yanks in the top-10. That would be an impressive showing for sure. Lasses: Gonna say Darcy over Krissy and Lizzy. Darcy is super-tough in the mountains, looked really good at HR, it’s her first UTMB so that could be tough, but I kinda gotta pull for the hometown lady and I just think she’s gonna surprise some people if she’s completely healthy. Lizzy 2nd, Krissy 3rd. Although I feel bad for Nerea Martinez’s debacle at HR and would really like to see her do well here. Too much? I can’t contain myself, wish I was on the starting line. Christ Tony. You’re like the Wikipedia of all things mountain running. Love it. Thanks, Anton. Not too much. Don’t stop. Might be some discussion over here during race. . .Stoked you like Darcy. Getting to know her more and just like the pick. Man, I hope you’re right/wrong about Geoff; right he could go big and wrong about not picking him. He has to pull-off a big one! We need him (and you) representing! And Wolfe’s UTMB experience is definitely a plus. Again (just to be clear 🙂 If Roes is in 2010 (pre TNF50SF) form at all, it’s a different race. He was (and hopefully still is) re-defining 100s. Heras’ Andorran win IS very big (need to polish my Euro ultra calendar!). Does he have the legs after that (ala Clark)? 30+ hours. Looks brutal given the start/finish ratio, as well. Based-on mileage, 2011 wear-and-tear, etc., I’m plugging my pick again. Go Geoff. Oh, and a little surprised you don’t like Bragg more. Should be interesting for sure! I am picking Jornet, Roes, Heras, and then Bragg. I got to go with Jornet. He knows the race, he has beyond belief mental toughness, he has the steep terrain skills to pull it off, and seems to rise to the occasion. I think Roes it ready to surprise people and return to form. However, even at his very best I don’t see him knocking Jornet off at UTMB. At Western States, yes, at UTMB, no. I predict that Jornet will gain a large lead over the middle 50. Heras and Roes will be in a foot race over the last 25 miles or so, with Roes edging him at the line. Bragg won’t be far behind either. All three will cut into Jornet’s lead but will run out of course. Nick, Joe and Dakota will each be competing for a top 10 spot. It will be close. I hope all three get there. Dakota is probably our best chance of the three. The course, in total elevation gain-loss at least, is similar enough to HR100 that it should suit him. I think it will come down to wear and tear to some extent, but for some reason Kilian is seemingly nearly non-human in that department. Andorra was only a week after HR and Heras didn’t run WS before it nor race anything after it (I don’t think), so I think his legs will be fine. Guessing his VO2 Max isn’t 92, though. Yeah, I don’t know why I’m not more psyched on Jez. He’s proven himself time and again, mostly I think I’m just biased against his awkward style on techy terrain 🙂 I similarly doubted his strength going into WS, so he’ll probably prove me wrong yet again. I’m sticking with my podium. Karrera and D’Haene are probably my dark horses. D’Haene is young (25) but has some top finishes at hard races. 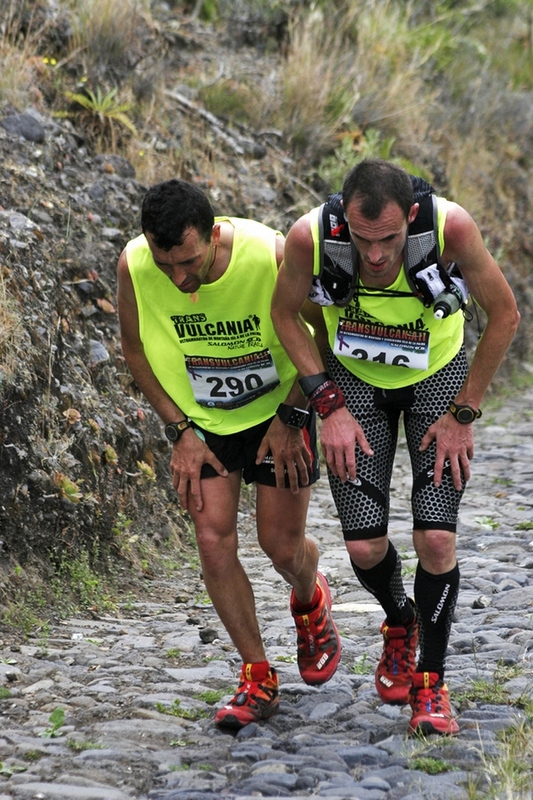 Karrera tied with Heras for a CR at Transvulcania back in May, I believe (http://static.desnivel.com/images/2011/05/27/miguel-heras-e-iker-carrera.jpg). It will be a huge upset, but I won’t be surprised if Heras wins. I had Karrera in my notes and just dropped the ball. To beat Killian, someone has to be EPIC, huge day. Who can really go that BIG? I’d say Mike (breakout race) maybe, Geoff (back in form), Jez (knows what he has to do)…and maybe Miguel. Other than Andorra, has Heras run well at 100? And I heard his wife is very pregnant (keep your eye on the prize, Miguel!). Great pics, Tony. Via the interwebs, I’m hearing possible delayed start due to weather, snow coming into play big time. Sure hope the weather plays fair. Great posting guys! Keep up the good work over there! Agree with Anton on much of his analysis. Outside of K, Miguel will be firing for this and is rested up, and certainly watch Francois D’Haene, the guy is young, and super-strong, the only ? is his endurance at 166km. I was doing a google search on Christ and Anton and Dylan’s comment came up. Otherwise I would not have shown up here. Not sure of the history of the weather here but given last year and the speculation now – is this typically a tough weather run? tough call, shuffled my deck a few times but going with 1.Heras, 2.KJ, 3.Wolfe; with Geoff as my “break-up the Salomon machine winner” if he is clicking. Seems the weather will likely play a critical factor and whoever adapts and executes the best in spite of the elements could take it. totally agree with you Tony re: Wolfe. I mean, the way he powered by nick and I just out from browns bar at WS caused my jaw to drop. He put on a clinic that day in terms of finishing a 100 strong. 40/20k is stout. Closest I came pre-Tahoe Rim 100 was 45/15k in el dorado and deadwood canyons (had a 50+/20k planned, but it got way too late and those canyons are eerie late at night). Can’t wait to see the drama unfold! Darn darn darn. The new route is causing me to reconsider. I still think i will go with KJ. However the likelihood that he will be caught over the last portion of the race has now gone up, in my mind at least. In my opinion, the faster and flatter ending works against him and opens the door for Roes, Heras, Braggs, or Wolfe. If I could cram four people into three spots, I would. Geoff having had a sub-par year, feeling rejuvenated (as far as I know) by his camps, spending a lot of time in Alaska running, Crow Pass, low expectations coming into UTMB, reminding us that this race became his 2011 #1 focus after last year’s weather induced race re-organization, his lost and found luggage, his subsequent rest, and his fabulous laid-back demeanor make that initial pick of mine even better. KJ and Heras better watch their backs.